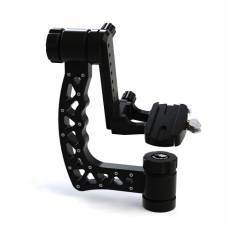 The GimPro Gimbal and Pano Heads are sidekicks and conventional Gimbal and Pano Heads all in one. 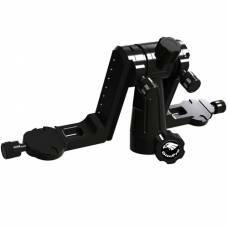 The GimPro Gimbal Heads consists of several individually hand manufactured parts, and each component is machined from the best machine grade Aluminium, to meet the highest standards and all the precision CNC machined components are assembled by hand. It is easier and safer to use than a ball head with improved performance, especially with long telephotoTELEPHOTOA lens with long focal length capable of making distant objects appear nearer thus larger. Essentially, it isolates and magnifies the subject so that it appears as a full image when shooting from a distance. Telephoto lenses are ideal for photographing subjects that are further away, such as wildlife and sports photography. lenses. 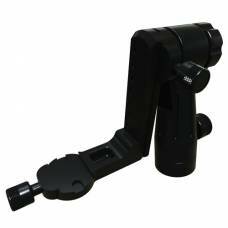 The GimPro Pano Heads deliver stability and versatility in a low slung package and are designed to be used in conjunction with the GimPro Door Mount but is not limited to that function. This Gimpro Gimbal Head MK II is perfect for Wildlife Photography and birding when you go on a safari.